The Ice Lakes Trail can get crowded, so I left my site at 3:45am to head up in the dark in time to arrive for great morning light. 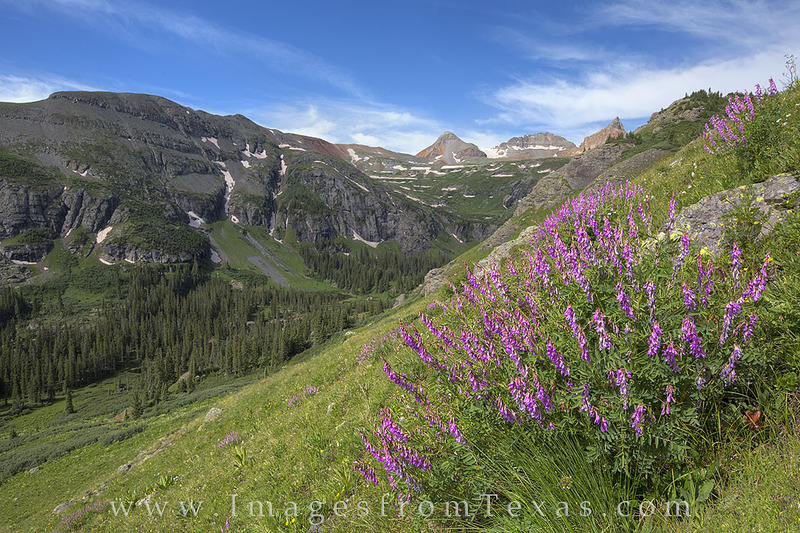 Here, wildflowers hug the slopes of the steep trail up to Island Lake. This path near Silverton, Colorado, is between 8-9 miles round-trip and is nestled in the San Juan Mountains among several 13ers. It is a beautiful way to spend a morning and a worthy reason to roll out of bed when it is still dark. Photo © copyright by Rob Greebon.